We dedicate a project manager to each client. This is the contact person for all your project needs; to plan, watch and control your translation project. In the near future we will be offering an online account for all your translation projects. The translation procedure will explain how we handle your documents and how the whole process is conducted – from the reception of your files to the final translation. 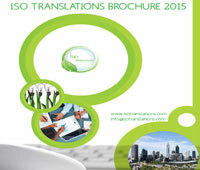 On the following pages we will illustrate our Professional Translation Process for you. We select our translator and editor based on their experience and special areas of expertise. Our selection process ensures that we deliver a high quality service that meets your expectations. All standard translations pass through a two-tiered process – initial translation, proofreading & editing – to ensure cultural accuracy. 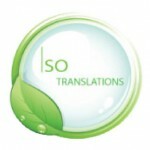 We, the ISO Translations Company, understand the importance of communicating your message clearly and our professional translation process ensures just that.